* Summer 2019 Online Picture Book Biography Class soon to be announced. Subscribe to my e-newsletter for updates. If you’re longing for an online class on a particular topic, email me. * October 2-5, 2019—I look forward to co-teaching a picture book biography workshop with author/illustrator Don Tate for the Highlights Foundation. Sign up for an immersive experience on the beautiful Pennsylvania campus. 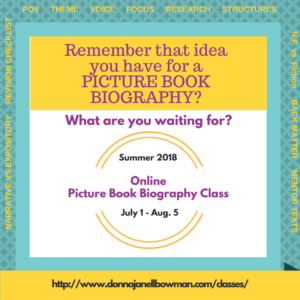 * July 1-August 5, 2018—SOLD OUT– 6-week Intensive Online Class – Writing Picture Book Biographies, facilitated through a Zoom virtual classroom. Pay via PayPal below or contact me for other payment options. 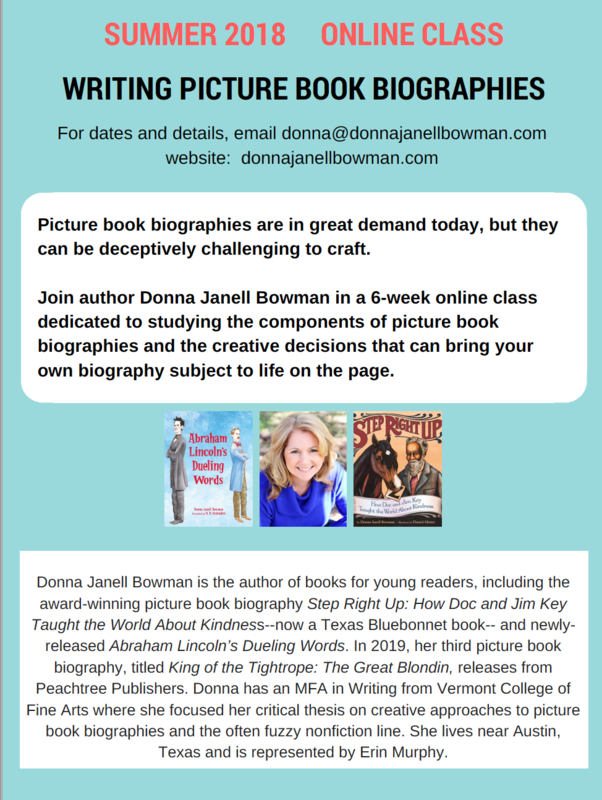 If you’re ready for more in-depth instruction in writing picture book biographies, this is the course for you. I studied the writing craft, and the unique considerations of picture book biographies, long before my first books were acquired and before I pursued an MFA in Writing for Children and Young Adults from Vermont College of Fine Arts. I even focused my critical thesis on creative approaches to picture book biographies and the often-blurry nonfiction line. Now, I am the proud author of many books for young readers, including the award-winning Step Right Up: How Doc and Jim Key Taught the World About Kindness, illustrated by Daniel Minter (Lee and Low, 2016) and Abraham Lincoln’s Dueling Words, illustrated by S.D. Schindler (Peachtree, 2018). My next picture book biography King of the Tightrope, illustrated by Adam Gustavson (Peachtree, 2019), releases on October 1, 2019. Others will follow. You can learn more about my books here. And you can learn more about my critique and editorial services here. 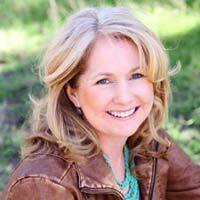 “I was wise to take a summer class with the talented Donna Bowman. During it, I labored, persisted, stretched and cried a little. If you want to grow and learn, please take any class with Donna. You will be forever changed and inspired.” — Wendi W.
“Taking Donna’s course was just what I needed to gain confidence in my writing and join a writing community. She is an expert on picture book writing and shares her knowledge so generously with all of her students.” —Susan H.
“I got SO MUCH out of this class! I loved the depth of insight you presented and feel that it worked on so many levels – simple enough for beginners, but complex enough for those further along on their writing journey.” —Gayleen R.
“It was a great gift to myself attending your class. I enjoyed your teaching style and the input from classmates. It was excellent!” — Tracy V.